Amazing Performance By Pakistan Cricket Team in 2011 specially in ODI Cricket. Sri Lankan All Rounder Angelo Mathews Wallpapers. Indian Batsman Virender Sehwag New Wallpapers. Following is collection of New Zealand Cricket Team Wallpapers. Popular Pakistani All Rounder Boom Boom Shahid Afridi New Wallpapers November 2011. New Young Pakistani Cricketer Azhar Ali Wallpapers. Boom Boom Shahid Afridi Is Also Selling Eid Cows for Qurbani. Here are England Cricketer Craig Kieswetter new Wallpapers. Pakistani Cricketer Boom Boom Shahid Afridi Interview 25th October 2011. Former Legend Cricketer Imran Khan Talks About Cricket and His Divorce. Former West Indies Cricketer and Fast Bowler Courtney Walsh Wallpapers. Pakistani Cricketer and Left arm fast bowler Sohail Tanvir Gets Married. Following is a photo of him with his bride Komal Khan. Following are Different Scenes of Champions League T20 2011 In Photos. Following is the list of Players Who Scored Fastest Centuries in ODIs Cricket history. I Saw Sachin Tendulkar's Legs Shaked With Fear of Shoaib Akhtar's bowling: Shahid Afridi. Following are Pakistani Cricketer Hasan Raza Wallpapers who has played a few International matches. Wasim Akram , Waqar Younis and Shoaib Akhtar where Best Bowling Attack Ever: Indian Batsman Sachin Tendulkar. Interview Of Aleem Dar After Becoming Best Umpire For Third Time in ICC Awards 2011. Great Pakistani Umpire of Cricket Aleem Dar Wallpapers. Famous Pakistani left handed opening Batsman Imran Farhat Wallpapers. Former Sri Lankan Captain Sanath Jayasuriya Career Summary and Interview. Pakistani Cricketer and third brother of Akmal Brothers Adnan Akmal Wallpapers. Ad in New Zealand pulled off after Pakistan Cricket Board Objected about it. Indian Media gets Upset By Comments Of Nasir Hussain About Indian Team calling them Donkeys. Young New Talent Pakistani Fast Bowler Aizaz Cheema Wallpapers. Boom Boom Shahid Afridi Interview With Wasim Akram Shown on ESPN. Presenting the Zimbabwe famous Cricketer Vusi Sibanda Wallpapers. Watch Pakistani Cricketers in a different style. Inzamam, Mushtaq, Saeed Anwar, Afridi and others Doing Dawah of Islam. Following are England Vs India Test Series Photos which is won by England by 3-0. World's Fastest Bowler Ever Shoaib Akhtar Also known as The Don of Cricket. Collection of some very Funny Cricket Videos. Following are the English Cricketer Alastair Cook Wallpapers. Cheating By Indian Cricket Team Captain M.S Dhoni In 1st Test Match Vs England. Following are Photos of India Vs England 2000nd Historic Test Match that is going on in London. ICC Greatest Test Team of All Time Is Right? Following are some Australian Fast Bowler Nathan bracken Wallpapers. All Set For 1st Test Between England and India that will be played on Thursday In London. Following are some Old Wallpapers of Pakistani Cricketer Shoaib Akhtar. Following are some Old Wallpapers of Pakistani Cricketer Shahid Khan Afridi who is also known as Boom Boom Afridi. Indian Captain M.S Dhoni At War With Umpire Daryl Harper. Here are Some Amazing Performance of Former Australian Fast Bowler Glenn McGrath Video. Following are Australian Fast Bowler Mitchell Johnson New Wallpapers. Following is Collection of Australian Cricketer Shaun Marsh Wallpapers. Boom Boom Shahid Afridi Wickets Vs Sussex and Discussion after becoming man of the match. Following are shared Indian Batsman Gautam Gambhir New Wallpapers of 2011. Here following are Mix Cricket Wallpapers of Some Good Cricketers from different teams. Do You Want To Know What Is Cricket? Get To Know In 4 Mins. Following you are viewing Indian Cricket Team Captain M.S. Dhoni Wife Sakshi Rawat Wallpapers. Following we are uploading Australian Speed Star Fast Bowler Brett Lee New Wallpapers. Shahid Afridi Makes a Comeback In Cricket as his Controversy with PCB is resolved after paying massive fine. England has defeated the Guest Team Sri Lanka in Three Match Test series by 1-0 as third match was also drawn on Monday 20th June 2011. Following We present Funny Cricket Incidents Photos. 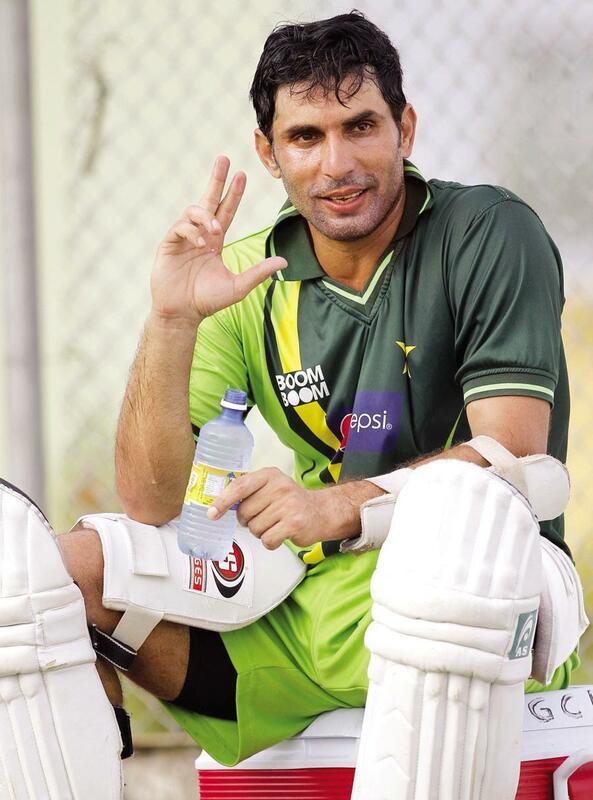 Pakistan Cricket Team Captain Misbah Ul Haq Also Ready To Leave Pakistan Captaincy. Both Pakistani Cricketer Shahid Afridi and Zulqarnain Haider are Fined by PCB But Got Forgiveness and allowed to play cricket in future. Following are Indian Fast Bowler Munaf Patel Wallpapers. Following are Indian Bowler Amit Mishra Wallpapers. Former Pakistani Cricketer Moin Khan Talks About Retirement Of Shahid Afridi In a Talk Show. Following are some New Wallpapers of Pakistani Opening Batsman Imran Nazir. Former Indian Captain Sourav Ganguly Praises Captaincy of M.S Dhoni. Following we are posting Indian Cricketer Parthiv Patel Wallpapers. we are following sharing West Indies Cricketer Andre Russell Wallpapers. Following we are presenting West Indies Cricketer Darren Bravo Wallpapers. Amazing and Interesting Celebrity Cricket League Started. Former Pakistani Captain Shahid Afridi New Interview On His Retirement with Fareeha Idrees. Today on on Saturday last day of April Two big matches in Indian premier league are going on. Here are Australian Fast Bowler Shane Warne Wallpapers. Delhi Daredevils and Royal Challengers Bangalore have failed so far to give much impressive performances in Indian Premier League 4. Following are Indian Batsman Virat Kohli Wallpapers. Following are some Pakistani Batsman Saeed Anwar Best Innings Videos. Shahrukh Khan Plays Cricket With Shane Warne. Following are Pakistani Batsman Shoaib Malik Wallpapers. Shoaib Akhtar's Book "Controversially Yours"